Managing Director Steve Littlewood launches his new tie up with USA based software company with his first exhibition at the Royal Armouries Leeds . Software company RT Enterprises explains riteTIME provides real-time data tracking for designers, line employees, maintenance personnel and management reporting. riteTIME is designed to automate the tracking of jobs, work orders and maintenance items which have historically been tracked manually. When accessing riteTIME with their iPod, iPad or iPod Touch your remote workers can track the work they do on projects, jobs or work orders wherever they are working. MIrfield Printing.com provided the new exhibition stand that uses printed panels on a modular pop up framework. 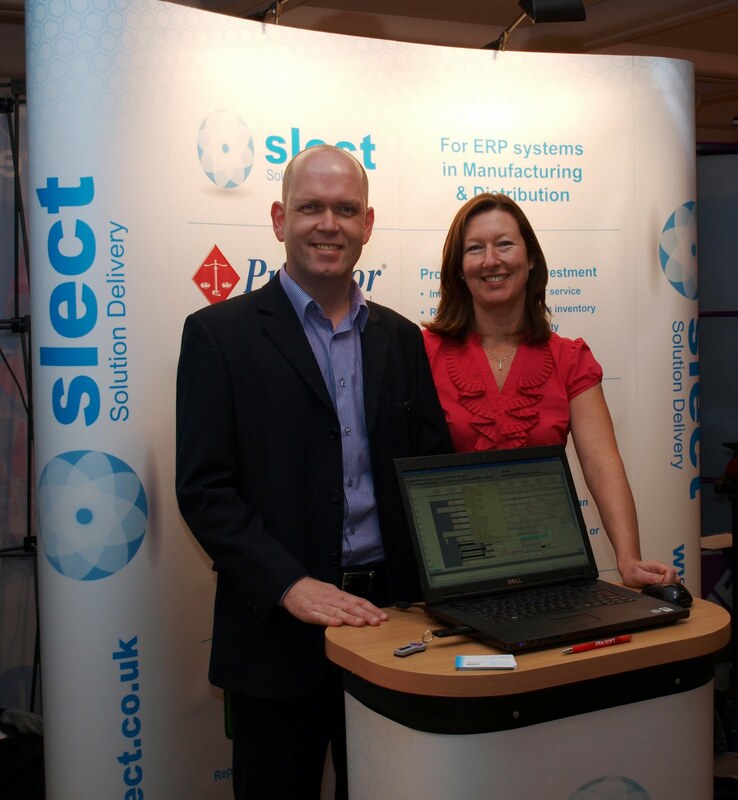 Steve Littlewood from Slect commented. it was a last minute decision to do the exhibition and I didn't give them much time to produce the stand. I am really pleased with the result, also the time from design to delivery was really impressive the guys at Mirfield really provided a great product fast . We plan to print a number of additional panels to satisfy each of our specific product lines soon.